During this time our body repairs our Lungs and remove toxic materials. 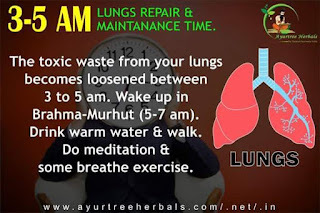 When you are following healthy habits your lungs will be safe.. if you are a smoker, are follows unhealthy habits our body tries its level best to clean lungs but some toxic materials remain in our lungs which will be cause of lung cancer etc.. So Follow healthy habits.